I have created an xml sitemap. I have used Google SearchConsole to send it in, but the SearchConsole status says it can not be fetched. I cannot see why. Anyone who can spot the error, or have some kind of method or work-around for letting Google find my sitemap? I have even added the sitemap path to my robots file. And the same day I did the exact same thing on another new website I'm working on, and it worked without any problems, so I can't understand what's wrong with this sitemap. A httpstatus checker returns 200 OK and Content-Type Application/XML. 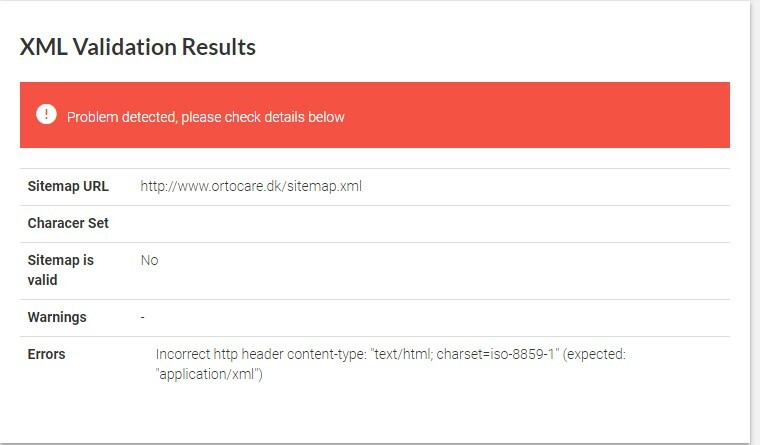 And both sitemap.xml and robots.txt checks out fine in some online tests. If you're submitting the http version, that could be an issue. Try submitting the https URL in GSC. Also, make sure you register both versions in GSC, and set the secure one as canonical / main version. Finally, update all the URL's in your sitemap to the secure versions, to avoid getting the non-secure ones into the index. as it is redundant; you've disallowed two pages, everything else is allowed by default. Submit your sitemap in https:// version and it will be validated successfully. If you are using http:// then you have to fix your sitemap format which is currently wrong. Not the answer you're looking for? Browse other questions tagged seo google-search-console sitemap xml-sitemap or ask your own question. How can I allow robots access to my sitemap, but prevent casual users from accessing it?